Please join us THIS THURSDAY for an urgent community meeting. We are inviting and reaching out to Individuals, residents, organizations, and community leaders who live work, play, pray, provide services, and care about our Mission community. Join us for a conversation about the 10-story, 350 unit luxury housing project being proposed for 1979 Mission St, on the northeast corner 16th/Mission BART Plaza. We will discuss the impacts this monster development will have on the Mission community, particularly low-income individuals and working families. The affordable housing crises and widespread unjust evictions have displaced thousands of local residents and non-profit workers. Further worsening the gentrification of the neighborhoods and communities we have built and sustained for generations. The focus of this important meeting will be seeking unity as organizations and residents. We will discuss the proposed development for 1979 Mission Street, and shed light on the horrible track record of the developer Maximus Development. Together we will consider the impacts this development will have on our neighbors, immigrant merchants, Marshall school children, and the dozens of surrounding non-profit organizations. Our goal inform ourselves, deepen our unity and stand firm against the empty promises by the multi-million dollar developer Maximus. The Plaza 16 Coalition has formed to oppose the 1979 Mission Street project because it would be unaffordable to the existing community and because it would drive up residential and commercial rents in the neighborhood, exacerbating the neighborhood’s displacement crisis, and block sunlight and worsen pedestrian hazards for the hundreds of Marshall school kids. 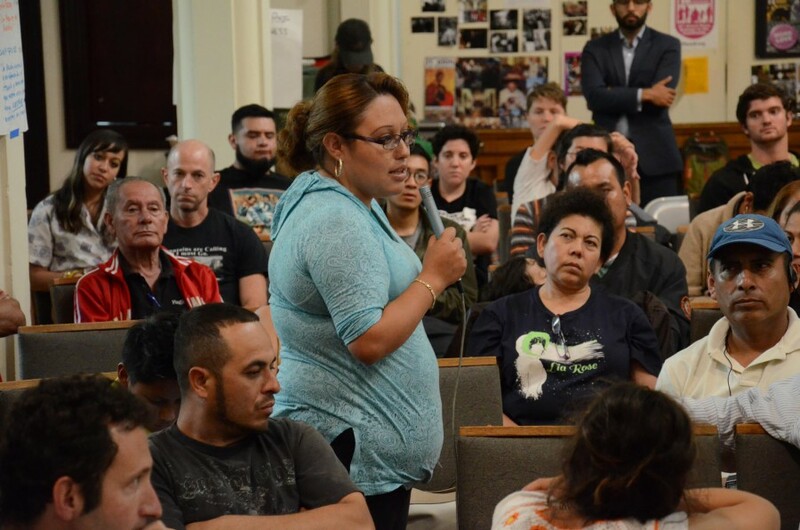 We encourage all organizations and individuals in the community to join us in advocating for deeply affordable housing in the Mission District and in opposing market rate developments, such as 1979 Mission, until affordable housing needs are met.